What will you do to save the love of your life? The question might seem harmless but there have been times when people have gone to unbelievable limits for their love; sometimes, it has been not so pretty. But this truly heartwarming act by a 72-year-old man — Swapan Sett — who uses his art in the form of music in an attempt to save his ailing wife, will surely touch your soul. Srijan Pal Singh, author and former advisor to Dr APJ Abdul Kalam, shared a post on Facebook, that has since then gone viral. 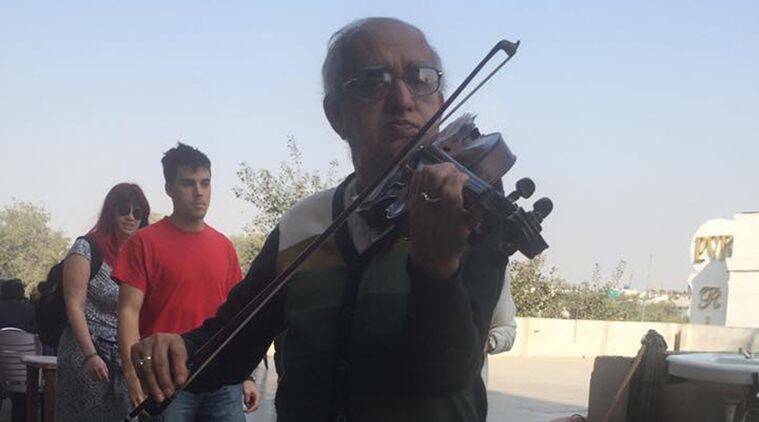 In the video shared by him, an old man can be seen ‘playing a melody of harmony and love on his violin’ at Old Coffee House in Delhi in order to raise money for his ailing wife. I have worked with Dr. APJ Abdul Kalam and he used to always say that there is goodness in everyone and this goodness makes the world survive. Sett is an example of when the world is torn apart by demonetisation, nationalism, sexualism and everybody is hanging right in between, he is on a simple mission with his violin and that is truly inspiring. What a wonderful gesture! Take a look for yourself. The post has garnered over 10,000 shares in merely two days. According to reports, Mr Sett, who originally hails from Kolkata, has been travelling extensively across the country and playing music to raise money for his wife, who is being treated at a Mumbai hospital. This man deserves respect for setting a brilliant example for the younger generation not only about how to love but also, on how one can save love. He gloriously illustrates the power of music and how far it can take us. He is, what they say, a hero without a cape. Would you disagree? People have been sending him their support from all over the country setting an even more brilliant example of how music and love surpasses religion and status. It’s such a beautiful sight to see something so small become so special. This is such the heart of India which is so impressive to me. Generosity , justice giving, understanding and the entrepreneurial spirit. There is no Obama Care in India. . . . and very few public assistance programs except for food. People or the poor have to figure out a way to provide for their families. Mr. Singh is sharing his music to pay for his wife’s cancer treatment because he loves her so much and doesn’t want to lose her. A universal truth and feeling of love that we all can understand. Music and love are language of the heart. This entry was posted in India, Uncategorized and tagged 72 year old, Heart language music and love, India, Indian entrepreneur, Mr. Setti, Music to raise money for wife's cancer treatment, traveling around India, Violinist. Bookmark the permalink. It is a wonderful seasonal story!